Who loves fonts? Can you really ever have enough fonts? I’m thinking no, because every time a new bundle comes out that includes fonts I just have to buy it. This Bundle, not only includes an enormous amount of fonts for $29, it also includes a selection of High Quality graphics, which you can use for print and cut with the Cameo or Cricut Explore. 1: Salamanter is the most versatile font in this list, it has a vast array of alternative characters which you can access via PUA encoding. Here’s an example of Salamanta typed out in Silhouette Studio with extra glyphs added, using the character map in windows. 2: Tropical Brush Script is my favourite of the fonts from ‘The Tropical’ font set – which includes 5 fonts altogether and are designed to go together to make beautiful typographic designs. Here’s an example of Tropical Brush Script in Silhouette Studio. This is before any welding, or adjusting the letters so they don’t overlap. 3 & 4: Mortaguais & Mortaguais Bold – This is what I tend to refer to as a fun font, the first thing I think of when I look at this font is ‘Fairy Tales’, and I am so happy the designer of this font included a bold version as well, I think the thinner version would be great for print then cut, and the bolder version for cutting. Something to bear in mind is that this is an ALL CAPS font, the uppercase capes are a little more fancier than the lower case caps. An example of the Standard Mortaguais font and the Bold Mortaguais. 5: Just Love – If there was ever a name perfect for a font, it’s this one. I Just Love it it’s so smooth and pretty, this font screams Wedding Stationery to me. Here’s an example of it’s prettiness in Silhouette Studio, using the Character map to access the extra characters. 6: Sekut – Were you asking yourself ‘What’s that font,’ when looking at the header for the August Bundle? If you were, then look no further, Sekut is the font you’re looking for. I love this font, it’s so smooth and relaxed (can a font be relaxed?). 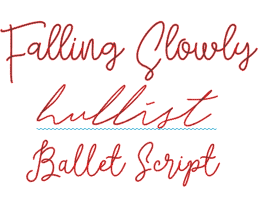 Here’s a peak of the font looking all relaxed and smooth in the Silhouette Software. 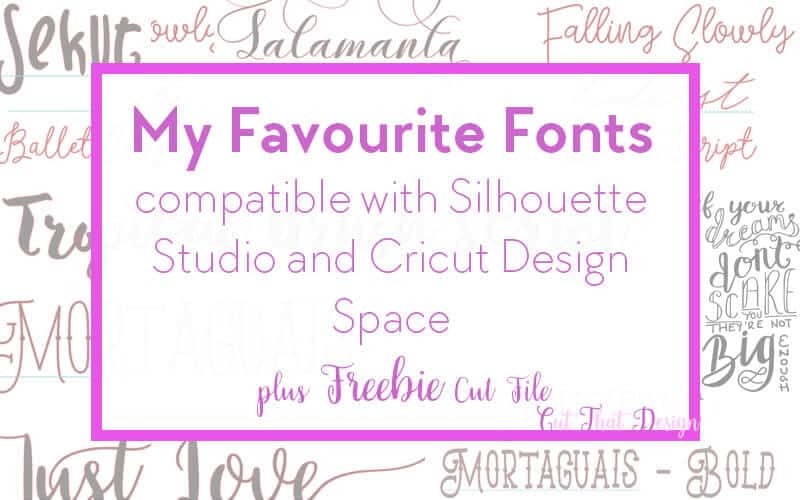 I didn’t want to finish on just these fonts, in fact i could have gone through the whole 65 fonts available in the Bundle but you may have fallen asleep (plus I wanted to show you ones that you can use with Silhouette Studio), here a 3 more fonts that I really, really like, they are thin fonts so would be perfect for print then cut, or you can thicken them up a little using the offset tool in Silhouette Studio. Not only does this bundle have 65 different fonts, that’s a deal in itself, but The Hungry JPEG have gone all out and included 13 Graphics Packs as well. There’s so much you can create with the Fonts and Graphics from This Bundle, best of all it comes with The Hungry JPEGS complete license, which means you can use the designs and fonts commercially. 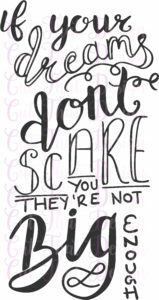 Keep Scrolling for a bonus freebie…..Hand Lettered Quote Design. – Free Files are for personal use only. Already purchased The August Bundle? If so, comment below on what you love about this months Bundle. Feel free to share your creations you have made with Graphics from This Bundle with me on Pinterest,Facebook or Instagram, I’d love to see ?